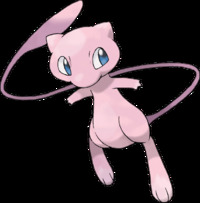 Do you like the Pokemon Mew? See if you do. How much do YOU know about the award-winning series Pokémon, gotta catch'em all! Are you a true Pokemon fan? Take this test and see how much you know about Pokemon. This exam is to see where you would stand in the Pokemon World. From a Rookie to Champion. In this Pokemon quiz if you get more than 8 points then you are a real Pokemon fan. Nothing really... I just got bored..
Are you a Pokemon Master or a Beginning Trainer? Test your poke-skills!